Monday is Labor Day. This is a critical day for labor in America because its success is about to define our economic future, at least for the next few months. By the time you read this, you may know how many jobs were officially created in August. If it was 220k or more a September increase in the Fed Funds rate is likely. If it was under 180k there probably will not be a rate increase. The ADP Employment Report, which is less prone to noise in the first place, came in with a middling 190k gain in jobs. What’s great about this is that Labor’s success in the last month could kill the stock market, pitting labor directly against investment. There’s nothing productive about that arrangement, but it highlights how strange the world has been. This oddly critical holiday is a good time to recap some of the topics that Barataria has gone over the last few months. It’s been a tough decade or two for Labor. Labor has not been doing well for about forty years. The arrangement which split the gross domestic profit (GDP) of the US 50/50 between labor and capital appears to have broken in 1974. Currently, labor gets only 43%, a difference of a trillion dollars a year. That amounts to over $9,000 per household. This Labor Day, we should think about what a difference that would make in the economy. Whether we gain 180k jobs or 200k jobs is largely irrelevant in the grand scheme of things, even though the stock market is likely to focus on it heavily. Investment? It will take care of itself. The stock market correction has been coming for a long time, and a rise in the Fed Funds Rate will probably cause a net drop in interest rates. The key to it all is China. 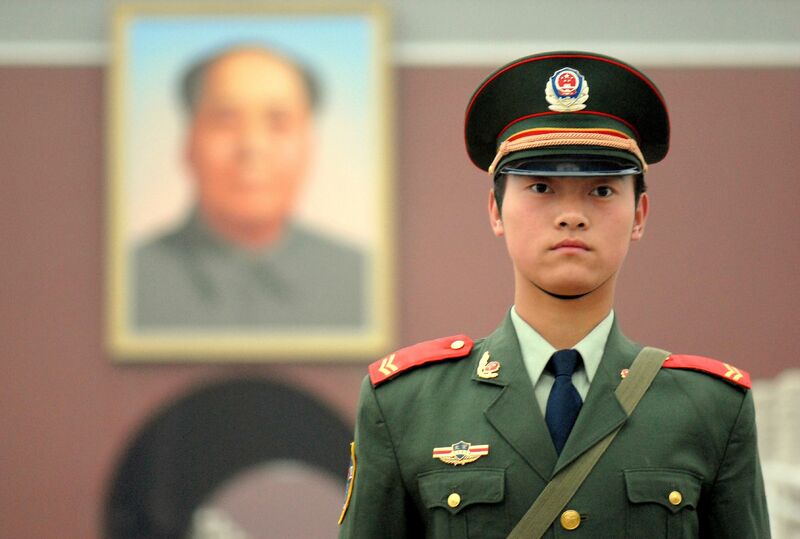 Every story on China has to have a scary looking soldier for a pic. It seems vaguely racist. As the 2016 election campaign heats up, there has been a lot of talk about China – and nearly all of it is wrong. China is not going waging economic war on us and their currency is, if anything, over valued. More to the point, the last time there was a panic in Asia the net result was a flight of capital to the US, heating up the boom of the late 1990s. That’s only likely to happen again as the developing world takes a pause in the phenomenal growth they have enjoyed at the end of the 2000s, first reported here in 2012. There is so much that we can do in terms of policy to correct our economy and create genuine growth, but none of it has anything to do with our competitive position with respect to China. Raising the minimum wage will help a lot, and a rate of $15 is easily justified. More important would be a commitment to tax profits, not labor, by undoing the industrial model that was put in place more than 70 years ago. A flexible workforce is desirable by both employers and employees, assuming proper protection for workers are put in place that are germane to this new economy. 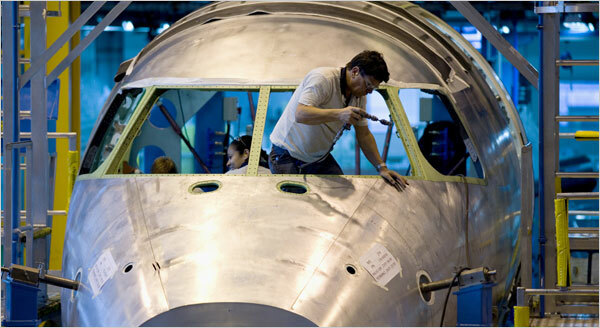 Workers building an Embraer plane in Brasil. Welcome to the developed world! What’s actually key about China is how we respond to the current melt-down, driven by a pause in their phenomenal growth more than a real slowdown. Developing nations rarely grow steadily towards equilibrium with the developed world because they lack many of the key systems necessary. These systems are social, infrastructure related, legal, and skill related. Everything happens on a generational scale, taking time to sink in before the next great leap forward can happen. Brazil is learning this lesson the hard way right now. As the developed world takes this pause the real opportunities for the world will be here in the US. Europe is still trying to figure out what it is and Japan is still a basket case. It’s up to us, and us alone, to get our act together. 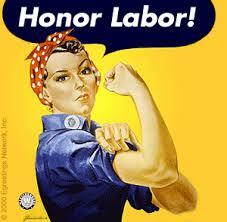 This Labor Day we need to focus on a lot more than job creation and what it may or may not do to interest rates. What we need is an economy that works for everyone because that is what created opportunity and wealth during our greatest epoch. It’s not a matter of “Making America Great Again”, it’s about putting our house in order so that our greatness becomes evident. Labor Day is upon us. It’s more than a day for grilling, it’s a day to remember that labor creates all wealth. This is a day to move ahead into a future that sometimes seems a bit scary and dark when we focus on the wrong things. If we focus on the greatest asset of this or any other nation, the skills and ambition of our people, we will see how bright our future can and must be. This entry was posted in Money, People & Culture and tagged China, current events, Economics, economy, GDP, globalism, Jobs, labor, Labor Day, longreads, News, Politics, wealth. Bookmark the permalink. It’s much easier to blame China than to get our house in order. Period. That is basically what is happening. We now have an excuse and can sit around fretting about others while we do nothing. So it came in at 173,000 a lot less than 180,000 but the unemployment rate dropped. What do you say now? I think they will not raise the Fed Funds Rate in September, but remind everyone that December is a go. But there is still a slim chance that they will do what they should and raise it. We shouldn’t forget the stock market crash of 1987. The tech boom could also be over. I see the long run uncertainty about China is that it doesn’t have multi-party representative democracy and its environment is more polluted than the US and Europe. The BRICs of gold certainly have not panned out.